It’s been about a month since the release of my free browser game Overrwyrld, and since the launch in July I’ve passed it by a few different groups of family, friends, and other developers. I was really excited to see what people thought, although it’s funny how certain things can get past you when you get too close to a project. Feedback was mixed from the start, but the general message was that while the game had some good ideas (and the influence of Michael Brough’s Corrypt was happily being noticed), it was all a bit confusing as far as what’s going on. 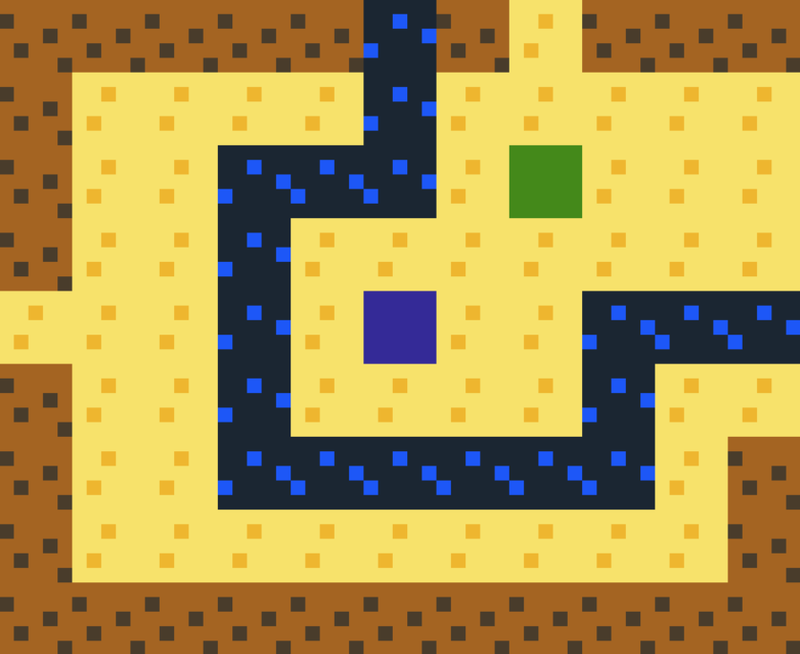 Couple that with my novice level knowledge of the PuzzleScript language and you have things that happen without really allowing the player time to comprehend the events on screen. The great news is that I’ve taken a lot of the constructive feedback and have worked out various ways to make the game even better; not only to make the game a bit more user-friendly, but to expand on the game itself! In fact, with so many changes since July 1st, it’s practically a new game! Old (Left) vs New (Right) – Random rock and tree interactions were removed; everything now serves a purpose. Old (Left) vs. New (Right): Trees now contain a visual puzzle element instead of blind guessing. Old (Left) vs. New (Right): Hints are available and tutorials were revised to force players into encountering the mechanics on purpose. I was initially against the idea of making the game more accessible with text hints. 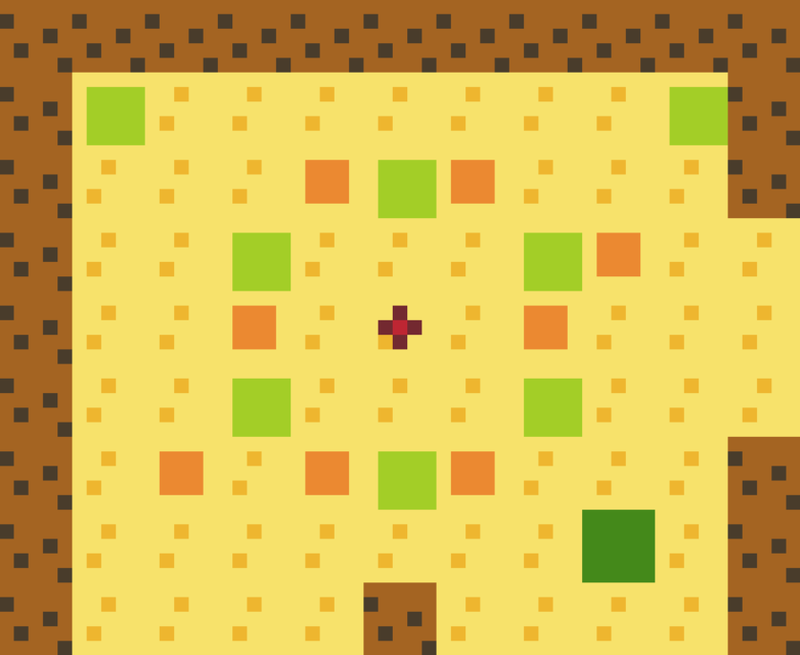 Truth be told, this project started out as a game with no words at all; I’d hoped the player would make their way through the world relying on context clues with colors, sounds, and terrain to guide them. That may be a project for another day, as I’ve already moved past my own “kill your darlings” moment and have come to love the little hint signs I’ve left across the map. Instead of relaying where the player is supposed to go, I’ve used my hints to not only provide some needed context behind the mechanics, but to also inject a little humor into the experience making the game a little more lighthearted. I’m also really proud of how the new ending sequence came out, as through various tweaks and changes (move this tree here, put another wall there, etc…) the entire map is now imbued with a collective sense of purpose. There’s a purpose behind every panel; a purpose behind every rock; a purpose behind every tree! With thanks to the various mechanics at play, there is eventually a puzzle that spans the entire Overrwyrld! If you’ve given the original Overrwyrld a try, I’d say this new update is worth a go even if you’ve made it to the end in the past. And if you haven’t yet played Overrwyrld, there’s never been a better time! 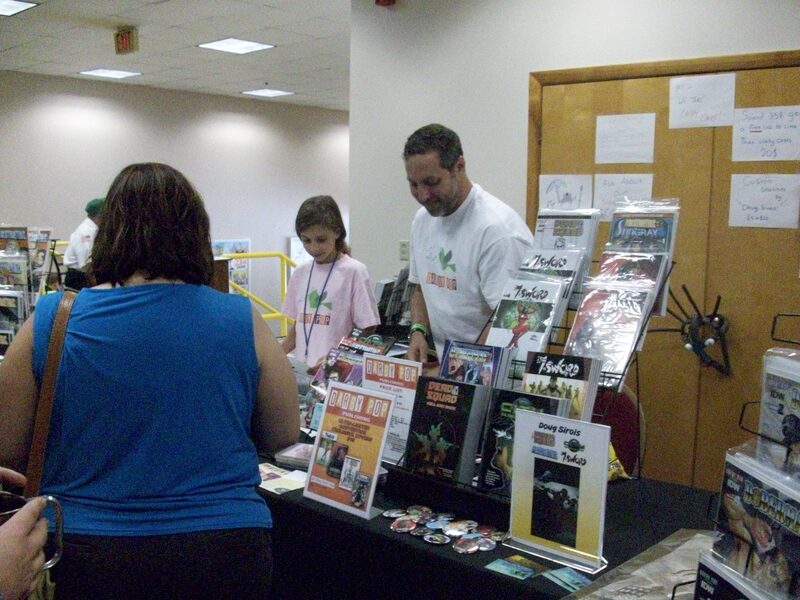 Getting ready for the Boston Comic Con this weekend reminded me that I never ended up posting a recap of the Summer Northeast Comic Con (NECC) the prior month; whoops! Anyway, Danielle and I had plenty of fun in Wilmington back in June, and the event feels as though it’s gotten even bigger since we’d gone to the Winter NECC last year. Guest of honor Adam West put on a great show in his interview panel with good cheer and a terrific wit, although he may have been outdone by a young boy from the crowd who approached the stage in full costume to greet him as “Old Chum.” If nothing else, the boy’s enthusiasm just goes to show how West’s Batman is able to reach audiences of all types even after all these years (although try not to bring up residuals). 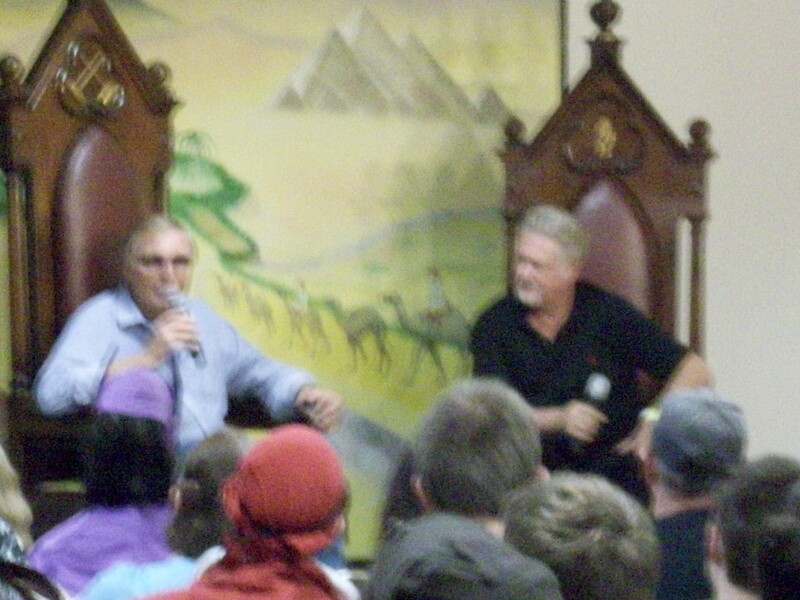 I also got to hold a few enjoyable conversations with several of the special guests that reached right back into yesteryear for me personally. Animator Philo Barnhart commented on the Dragon’s Lair video games, and how he was proud to be associated with a project that’s now on display in the Smithsonian. Longtime Henson Company puppeteer Noel MacNeal held his own puppeteering workshop, and I found out that his history with the company went all the way back to one of my earliest favorites called Follow That Bird (among other things, he was Madame Chairbird). I also got to ask TV producer Jeff Kline if we’d ever get a proper ending to the short-lived Roughnecks: Starship Troopers Chronicles… it’s in Sony’s hands, but that ship has pretty much sailed at this point. 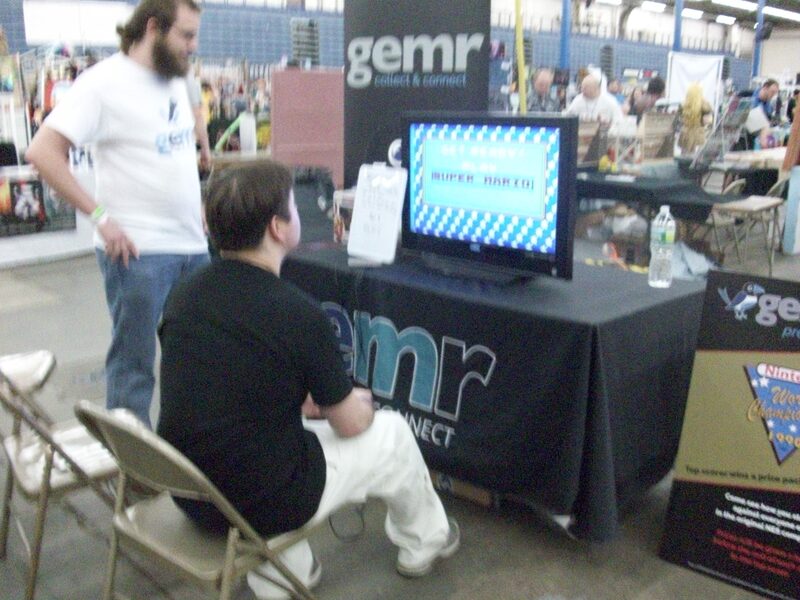 There was plenty of fun for the gaming crowd as well with a larger console free-play area, Smash Bros Tournaments, and a competition held by Gemr using the original 1990 Nintendo World Championship game (I nailed the Super Mario Bros. portion, but blew my lead during Rad Racer). 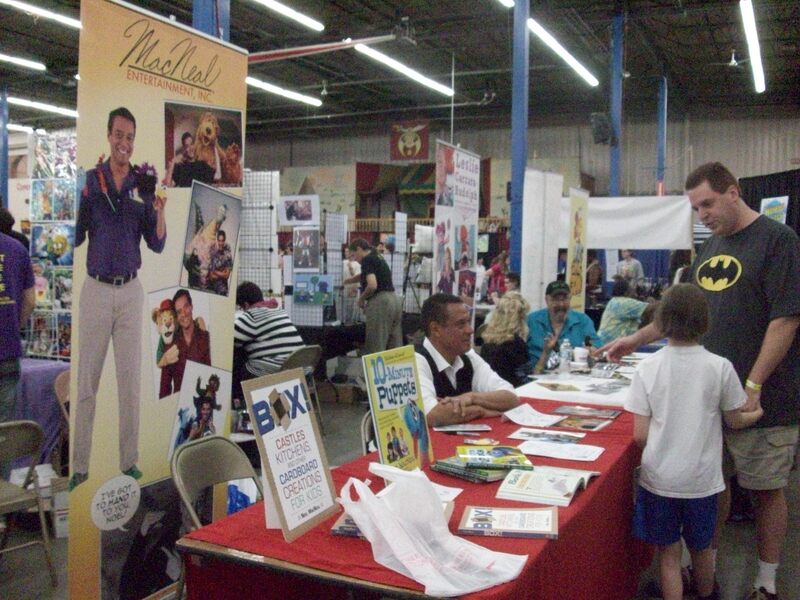 NECC will return to the Shriner’s Auditorium in Wilmington, MA this Winter on December 5-6th. Lots of fun over the past few weeks, and I’m only now just catching up. 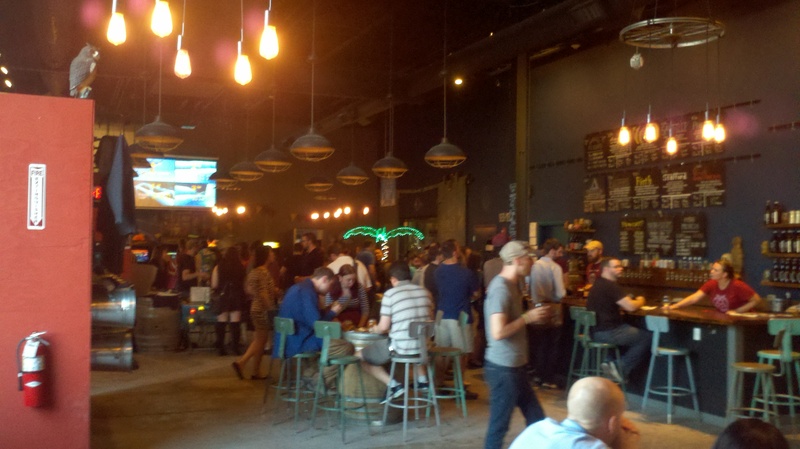 Last weekend was the first of three Bit Fest parties being held over the Summer. 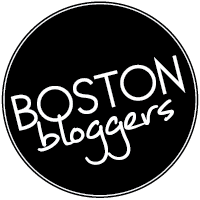 Boston Bit Fest, which I’ve posted about in the past, is a pop-up arcade festival run by some great people, that since its origins in Somerville back in December has now been moved to Night Shift Brewing in Everett. The new space is great! 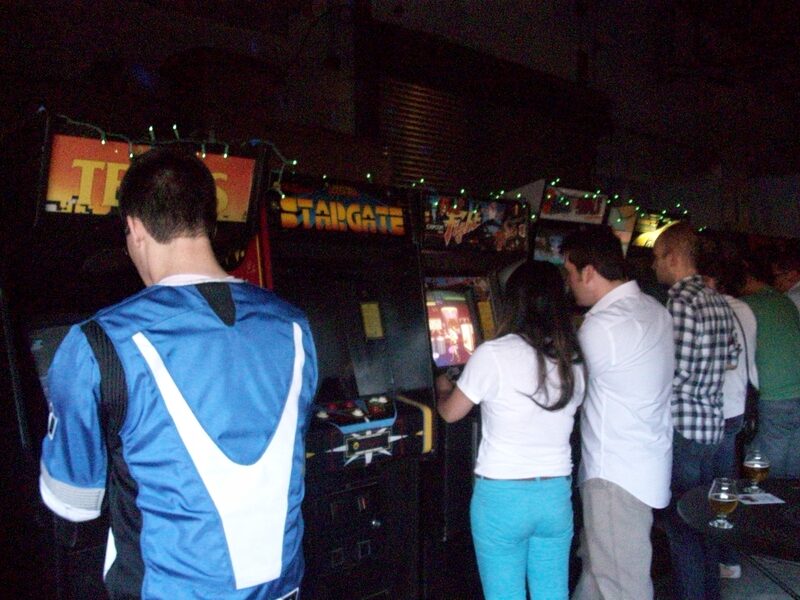 With multiple rooms to fill the arcade cabinets have never been more plentiful, and with the revised business approach of suggested donations at the door, each of the cabinets are now set on free-play! 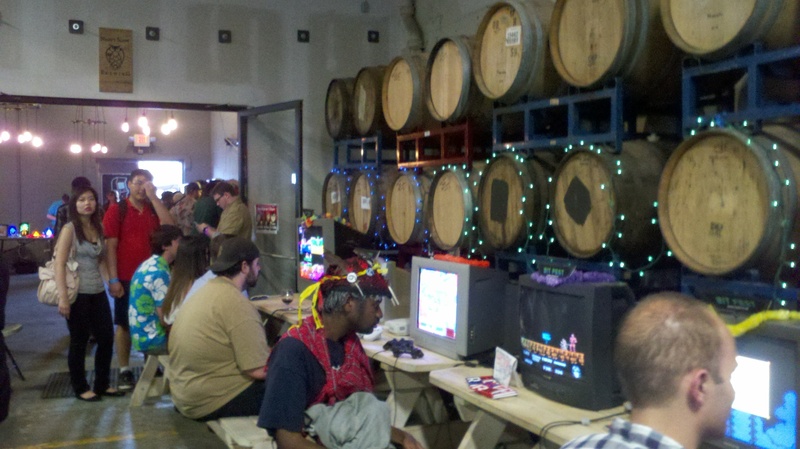 The console area was moved inside the brewery to be played right alongside the many aging barrels, although I feel this may have been a missed opportunity as an ideal spot for the Donkey Kong cabinet. 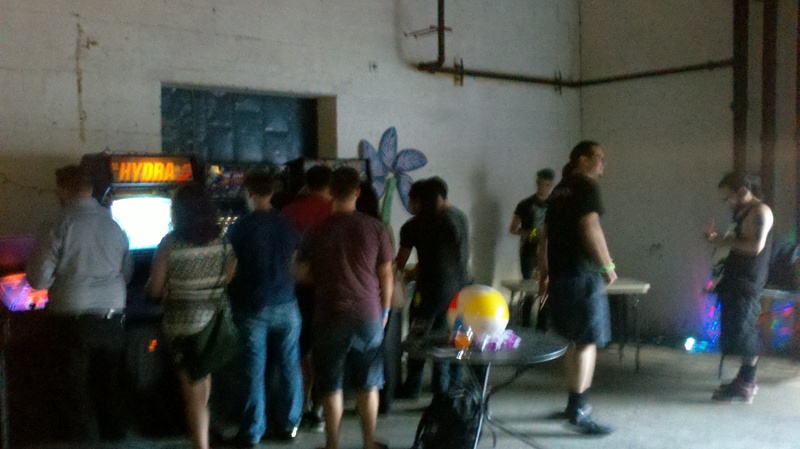 Arcade cabinets were spread out across the brewery so there was ample room to move around. 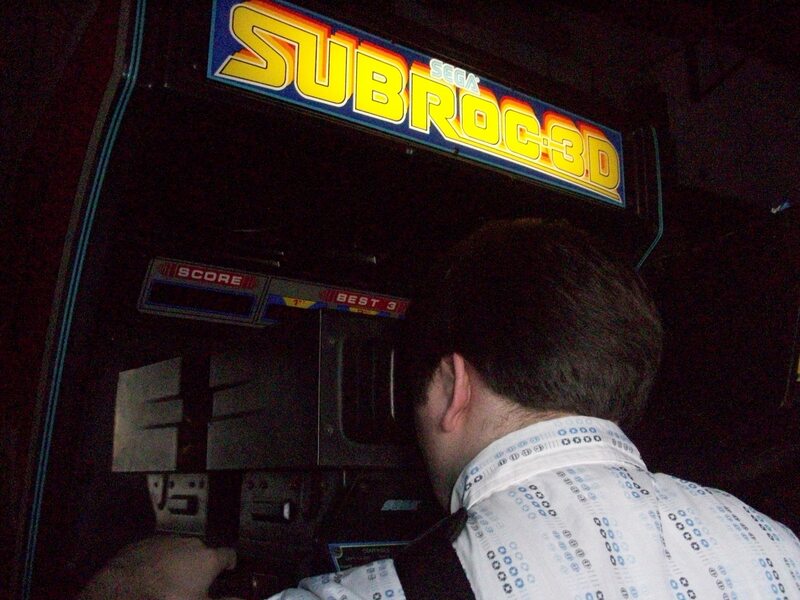 A few new cabinets showed up this time as well; I got to try out an old Sega periscope game called SubRoc 3D, which is honestly cooler than you’d expect for something from 1982. Can you spot the News Radio reference in this picture? It’s been a long time, Stargate Defender… <Yes it has, Dave>. I also got to try another arcade game I’d never known about before; Hydra by Atari (1990). It’s pretty fun and fairly easy to get into, although I think I still prefer Roadblasters. Bit Fest returns to Night Shift Brewing on August 6-7, and again on September 10-11. For more information check out the Bit Fest website! I’m really excited to announce the release of Overrwyrld; a top-down puzzle adventure game inspired by the original Legend of Zelda, Adventure, and an indie game that I love called Corrypt made by Michael Brough. Why am I so excited about Overrwyrld? Because excluding some user-created content from the past, this is the first game I’ve ever released! I did it! I made a game! Overrwyrld is a game about exploration, discovery, and perception. 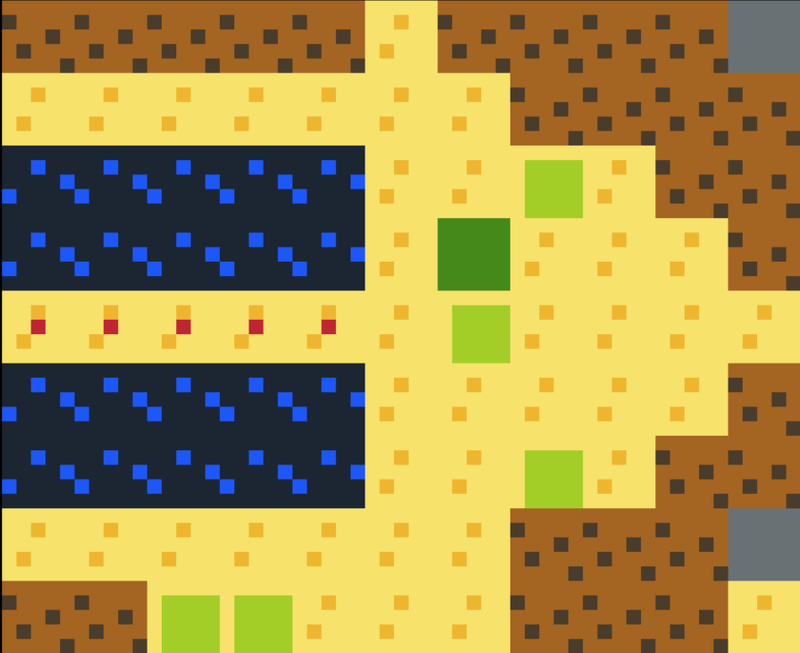 There are no dungeons, combat, or princesses in need of saving, but you’ll still find several terrain puzzles to solve along the way involving various game mechanics. What those mechanics are I shouldn’t say as it ends up spoiling some of the fun, but with this game I hope to show that even the simplest of game mechanics can end up being entertaining when matched with the right level design, as well as showcase how seemingly inconsequential occurrences can still end up contributing to the larger game at hand. 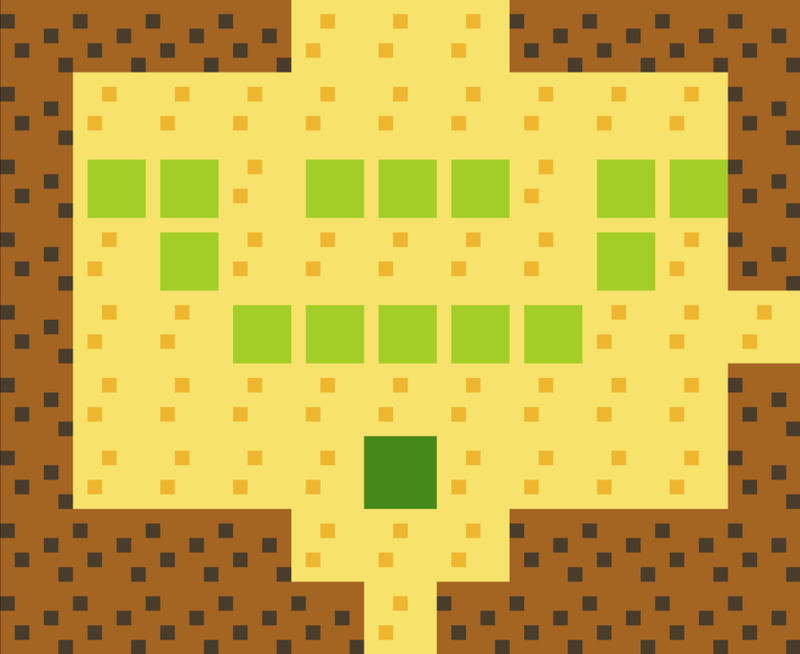 To make the game, I used PuzzleScript; an online HTML5 game engine made by Stephen Lavelle that’s open-source and available for anyone to try their hand at creating something. The control limitations of PuzzleScript; namely that you’re limited to arrow keys and one button certainly had me thinking differently about how my player character would go about accomplishing tasks. The language was fun to learn and I have to say; half the fun of making this game was in trying to minimize objects as much as possible to keep the code nice and slim… only to have it balloon out of control later on when making final adjustments to the map. 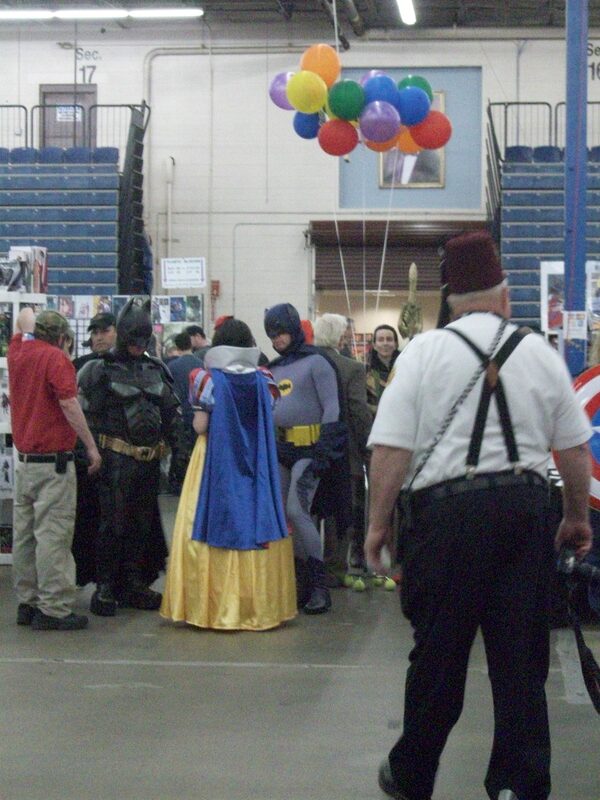 June 20-21 is the return of the NorthEast Comic Con, once again being held in the Shriner’s Auditorium in Wilmington, MA. Danielle and I had a great time at the Winter con back in December (You can read our reactions from that event here), and are looking forward to heading back again! For more information on the events and scheduling, please refer to the NECC website. If you go; be sure to check out the band The World is Square (1:00 and 4:00 in the Fez room), who play relaxed covers of classic Square Enix songs; I expect a good helping of Final Fantasy VII, considering the recent remake announcement at E3. The 5th season finale of Game of Thrones was last night, and keeping in line with the rest of this particularly unsettling season it managed to deliver plenty of highs and lows. I won’t burden you with what I think of either, save for a short comment that I seriously hope Sansa’s story grows beyond its current role within Theon’s redemption arc, and that I’m confused as to how Ceresi might be tried for Regicide with an exhonorated Lancel as the key witness (you can’t kill the King and say “she told me to do it” without sharing in the punishment). But hey, I’m still confident Sansa will bounce back as the capable player we were introduced to at the end of Season 4, and no Lannister is safe forever. Anyway, this year’s finale also made me notice a rather interesting pattern when it comes to wrapping up Daenerys arcs for each season; a pattern entirely native to the show due to being a visual medium. Possible this may be old news to some considering we’re already 5 years in, but I certainly didn’t notice it until this particular episode 10 as it was here the pattern emerged at its strongest. So for a quick recap of Dany’s final scene (and a reminder of the spoiler warning above), she has been flown out of Mereen and finds herself somewhere in the wilds of Essos (to be honest, for a moment I thought she’d been flown all the way to the Vale where we last saw the Hound). 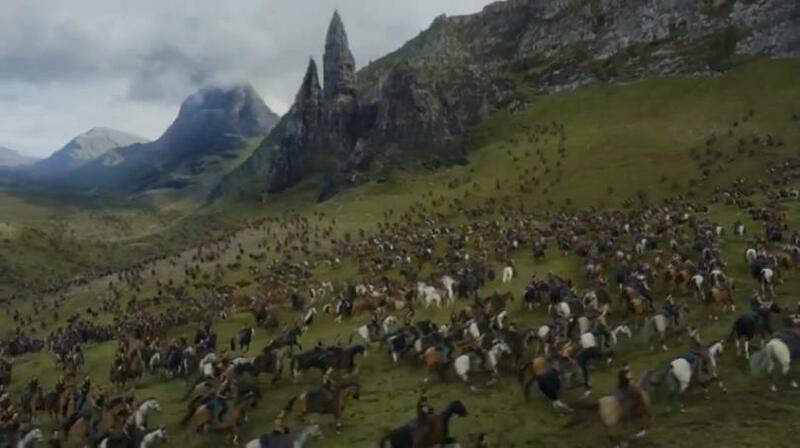 She’s then spotted by some outriders and in a few minutes finds herself at the center of an entire Dothraki Khalasar with riders circling around her. The circling I initially found somewhat bizarre (it was a bit overly dramatic to involve the entire Khalasar), almost forced as though it were part of some larger plan; and then I realized we’d seen something similar in the past back when Dany was swarmed by the freed people of Yunkai. That other scene was how Dany wrapped up in the finale of Season 3. 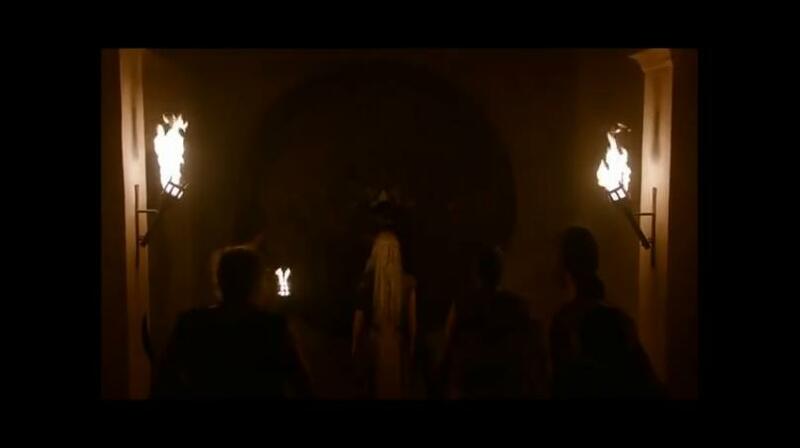 So I looked up the other season finales and sure enough, every season finale manages to squeeze in a dramatic shot of Daenerys appearing in the middle of a circle in some form or another during her final scene! So what could all these circles mean exactly? 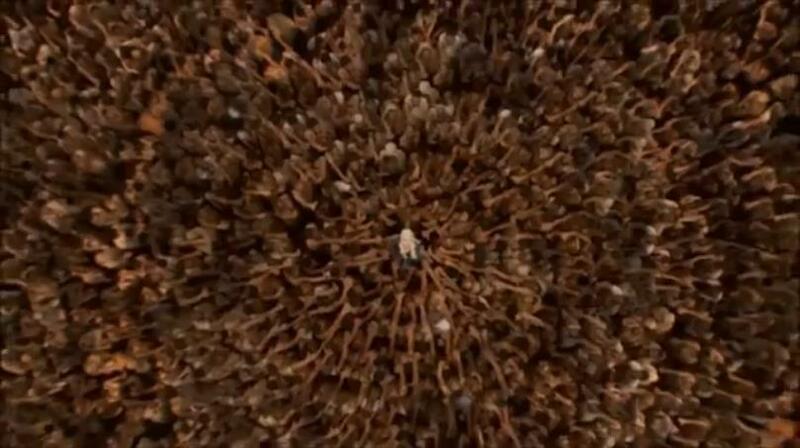 Well, for one thing it continuously ties Dany’s story back to the original circle from Season 1 where she became the Mother of Dragons; clearly an important moment in the development of her character. As a framing technique for a show with characters that come and go, it also lends credence to the assertion that Dany does have a larger (if not the largest) role to play in the events to come, whatever they may be. Dany’s kind of a big deal even though her story’s been relatively isolated from the rest of Westeros, and the show seems to be overriding its own scenery to keep that idea in the back of our heads; even when some of us would sooner see Ser Pounce on the Iron Throne. 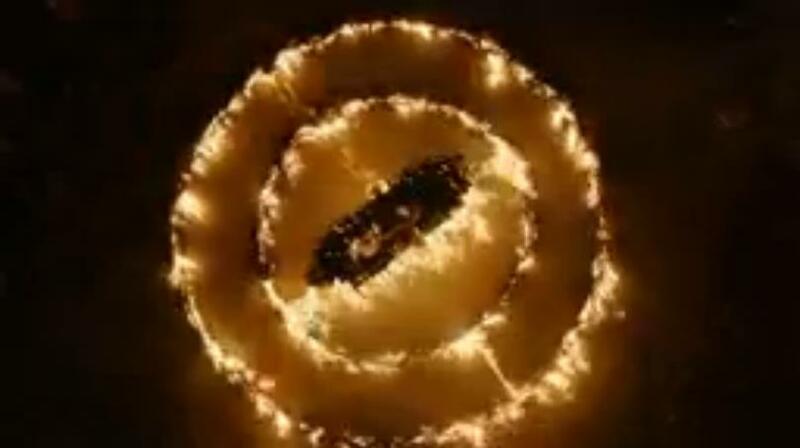 One might also delve into the plethora of symbolic meanings attached to circles to rationalize this phenomenon involving Dany’s final scenes, although suffice it to say this is largely up for interpretation. 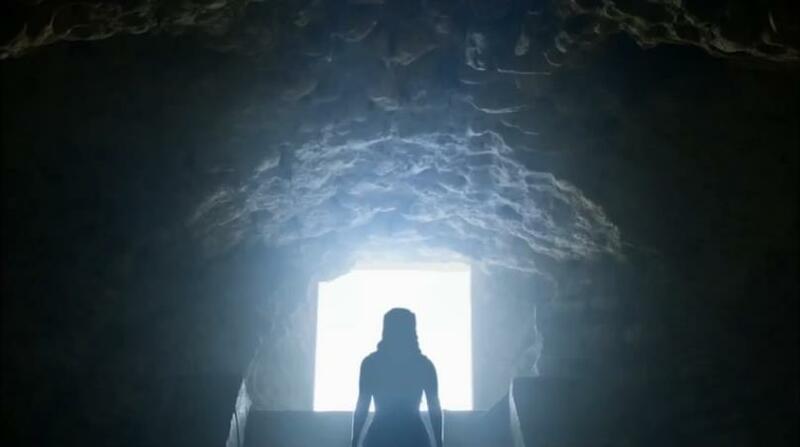 For now, I’m content to believe there’s a connecting element to Dany’s story beyond the mere plot that not only ties her seasons together, but has likely been an intentional inclusion for all these years. Or it’s all coincidence, and she’ll stand in front of a triangle next year. 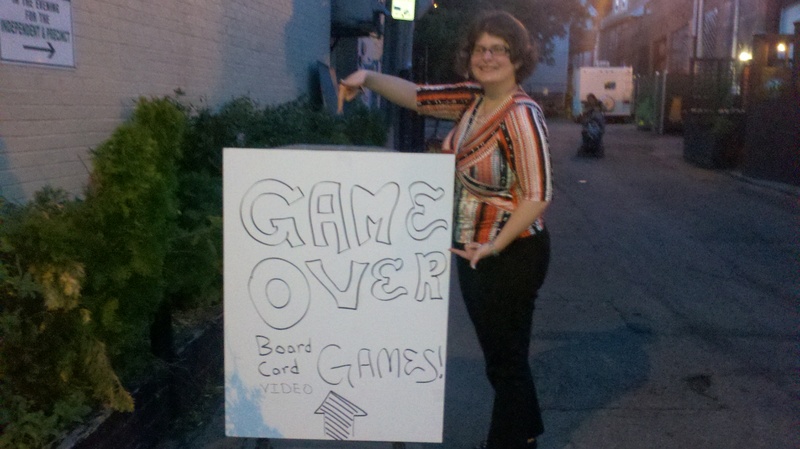 Last Tuesday saw the relaunch of Game Over; a recurring community event where people can get together to play video, card, and board games that first began back in 2012. This time around, Game Over is being hosted by GoBe Groups (a mobile app designed for organizing and discovering in-person events), and is currently scheduled to run weekly at Warehouse XI in Somerville every Tuesday night starting at 6:00pm (although the crowd seemed to start growing more around 7:00). Warehouse XI isn’t the easiest location to spot inside Union Square since it’s between a gap in storefronts, but thankfully they had a sign! Danielle and I went to the relaunch last week and had a nice time playing Star Fox 64 followed by several rounds of Jenga with some new friends. 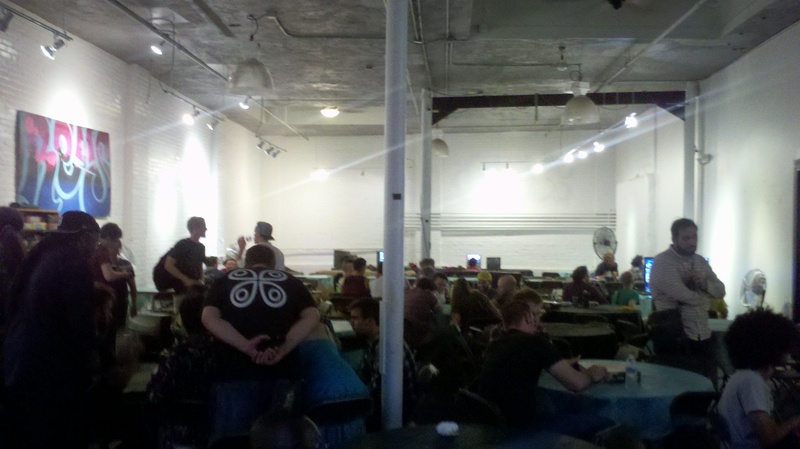 Judging from this week, the event does need to grow a bit more to better justify the cover charge ($10), but considering Boston’s ever-growing community of gaming enthusiasts of all kinds, the event is sure to find its footing alongside the Bit Fests, BosFIGs, and other gaming conventions and events going on. Some of our favorite local game vendors have gotten involved with the event as well; including Eureka Puzzles and Games in Coolidge Corner, and High Energy Vintage in Teele Square! Many thanks to them, as well as Knight Moves and Cantina La Mexicana for helping to stock the event with plenty of games, food, and fun! For weekly updates on Game Over; you can check out their Facebook page.